In southern California, everything is spread out so much that most people depend on cars to get around. But for those, such as my daughter, who can't or choose not to drive, the Metro buses provide an alternative. 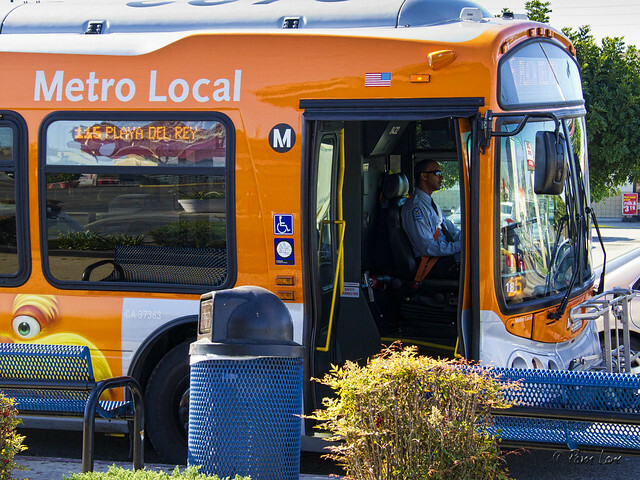 This is the 115 bus, which runs east and west on Firestone Blvd. through the center of Downey. It starts at the Norwalk Green Line Station just to the east of Downey and continues west all the way to the beach in Playa Del Rey. For my daughter, it simply means a convenient way to shop at Target or Stonewood Shopping Center.